During Konami's pre-E3 show the company announced an HD home console version of Metal Gear Solid Peace Walker will be hitting shelves this November, and this week they're ready to show the game in action. 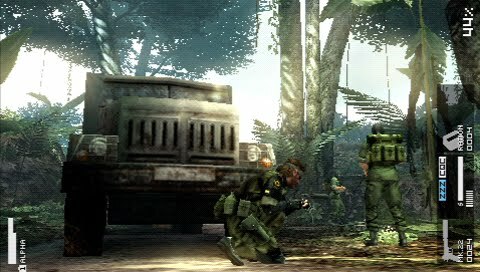 Even at this early stage the game is looking incredible, much improved over the PSP version which already looked great on Sony's portable device. 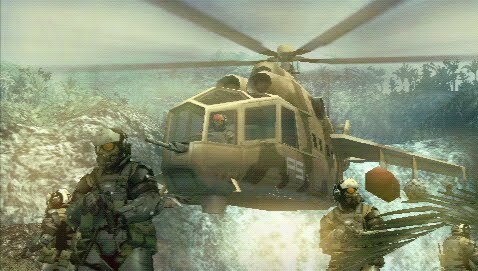 You have to wonder though, why did Konami let such an incompetent player demo this game for us for the very first time? 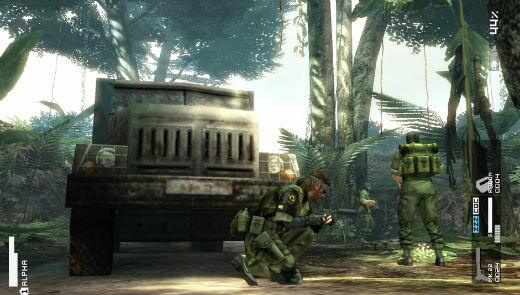 You'll notice the blunders right away, with the player advancing Snake to a small shack with little cover only to be spotted by a patrol guard within seconds. Poor old Snake gets shot a couple of times as the player fumbles to neutralize him with a tranquilizer gun. It's the last 30 seconds that are just bizarre to watch, with the player disregarding stealth altogether as he alerts every soldier in sight and then tries to hide in three inch tall grass. Of course he's shot and killed within seconds, the death music chimes in and then it looks to me like an A.I. soldier teabags him. Please tell me I'm wrong. Obviously the actions of the player in the demo has no bearing on the overall quality of the game, which without a doubt looks stunning in HD. 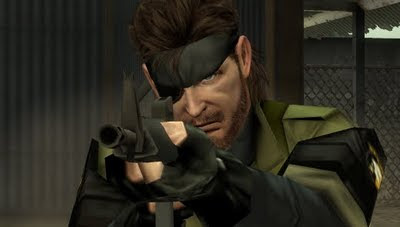 Metal Gear Solid: Peace Walker﻿ is included in Konami's upcoming Metal Gear Solid HD Collection which will also contain HD versions of Metal Gear Solid 2: Sons of Liberty, and Metal Gear Solid 3: Snake Eater. ﻿The collection will be available for both the PS3 and the Xbox 360. 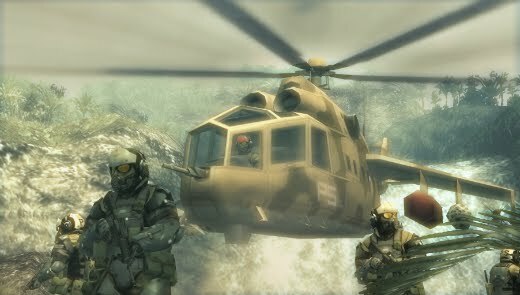 For Metal Gear Solid Peace Walker HD you already see the rich, new textures that have been applied and the polygons have been rendered in crisp HD. The user-interface has also been redone with a cleaner look and sharper fonts. Meh, the graphics are all right. 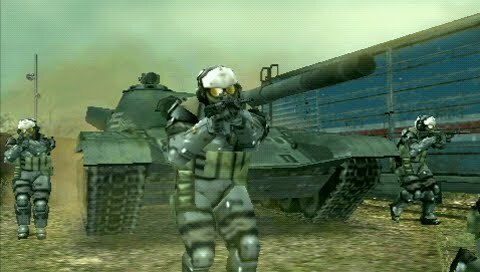 I'm just excited to get my hands on another MGS title, seeing as how I don't have a PSP and everything.